Homeopathy Aconite, like many other homeopathic remedies, has many uses. It may be helpful for not only flu and colds but fear and anxiety. Aconite napellus is a purple flowering plant that is found in Western and Central Europe. Due to the shape of the flower, it is commonly known as monkshood. Another name it is known by is wolfsbane because it is used in hunting. Aconite Napellus has a long history of use as a poison. Historically it was used as poison on the tips of spears during hunting. Homeopathy Aconite is excellent for acute situations, rather than chronic conditions. One good use of Homeopathy Aconite is for the sudden onset of intense symptoms where the person is restless, fearful and feel like they may die. These anxiety situations may be triggered by earlier exposure to cold in which the person was chilled. Homeopathy Aconite is a remedy that epitomizes the premise of homeopathy. In its original state, as a plant or herb, it is a poison. When it is in its homeopathic form, it has so little of its original form, and I found it safe and helpful for sudden, intense onset of cold and flu, or fear and anxiety. Keep in mind that classical homeopathy which is the only form I use is a single remedy that comes in the form of tiny white pills. Other types of natural remedies and herbs are not the same as homeopathy. I have a young dog who experienced a lightning strike near her that sent her into a panic. She became fearful of noises that even remotely sounded close to what she experienced. She would shake in fear and leap into my lap or try to run away in panic from the sounds. I began giving her Homeopathy Aconite 200c. I put one pellet in 4 ounces of water, tapped the bottle ten times, and gave one teaspoon as a dose. At the slightest possibility of a thunderstorm, or before a sound that might frighten her, I gave her one dose every half hour, until it passed. If the storm was particularly intense, I gave a dose every fifteen minutes. After doing this for a few weeks during the stormy season, her shaking subsided dramatically, and she would relax near my feet. 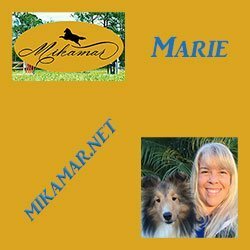 The results are good that I see in my dog, and I have been using it for a year. 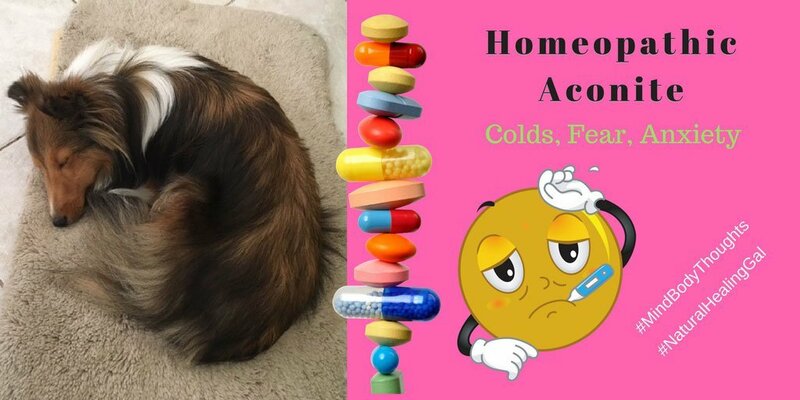 I recently had the unfortunate opportunity to try Homeopathy Aconite for myself when a nasty cold virus was going around. Many of my friends and family got it, and it was quite severe. I got it quickly; by the end of the first day, I was pretty sick. I tried Aconite for the first two days. I felt relief on the third day. Since I was pretty sick I may not remember the exact timing. It subsided by the end of the week. Other than the exhaustion that followed for about a week, the severe cold symptoms moved through quickly without any medications or antibiotics. Many people I know had it last three to four weeks or more, with the exhaustion lasting much longer. I am certain that using Aconite was extremely helpful in relieving my symptoms quickly. Homeopathy has been coming under more scrutiny than usual lately. The two arguments I see on a regular basis are: It does nothing and the dilution makes it nothing more than a sugar pill. The other argument is that it can kill you because it is deadly. How can a “sugar pill” with only a placebo effect be so deadly? I think that fear of homeopathic remedies could send people back to pharmaceutical and over the counter drugs for colds and minor ailments. After all, they are safe, right? According to the U.S. Food and Drug Administration, as many as 980 deaths in a year are due to drugs containing acetaminophen. Deaths associated with acetaminophen are increasing faster than those for over-the-counter drugs. These include aspirin, ibuprofen, and many other common over-the-counter pain medicines. I’ll let you decide for yourself. The results I have seen using homeopathy for myself and my family for over 15 years have been impressive. If it is nothing more than a sugar pill, my dogs do not know what a placebo effect is. These are things that I have used to help treat myself and my dogs of cold, fear, and anxiety. I can only share with you what has worked for me and you’ll have to test it out in yourself to see what works for your life. I am all about using natural healing methods over commercial medicines. Here’s to your continued health and learning in how you treat your body.